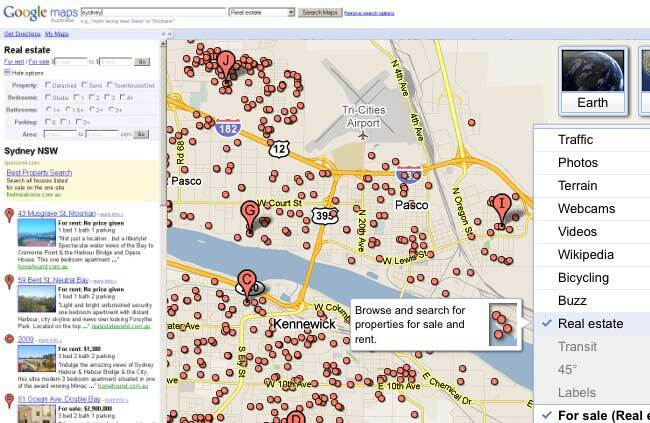 A few years back Google announced its intention to enter the property market. The idea was to enhance its Google Maps application with local property and take on the big property portals such as Rightmove, Findaproperty and Zoopla. This was rolled out as a trial in a few countries, but it seems before taking to the UK property market, Google has mad a u-turn. This will be good news for small estate agents and local newspapers. The Google experiment was originally used on the Australian market and trialled US, Japan and New Zealand markets. In early 2010 Google announced it was in a series of talks with UK estate agents and was considering plans to launch an on-line property portal in Britain. Since then news on the project seem to go quite. Many are surprised with Google’s announcement to pull the plug on its property portal as more often than not, Google’s efforts normally find success. Google have given very little comment on the matter, but its thought that the main reason for abandoning the idea was mainly due to a clear way to monetise the service. Did Google make the Right Move? So did Google make a sensible decision? What do you think was it the right move?